SETI enthusiasts have devised all sorts of complicated ways for us to find signs of alien life, but a new paper suggests we may be overthinking it. 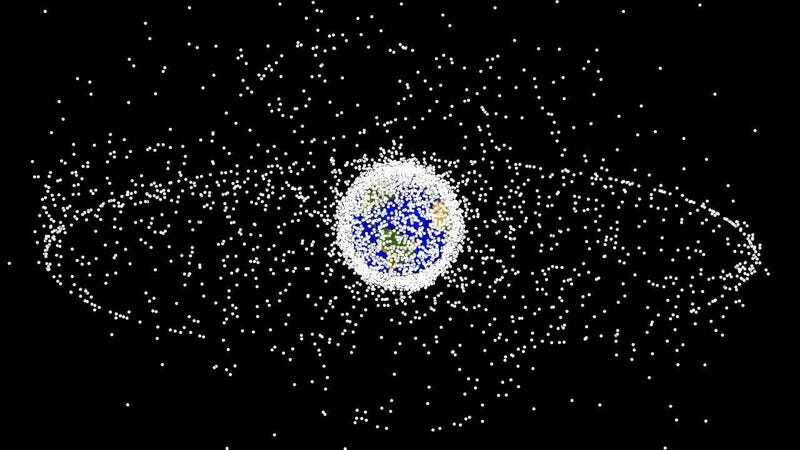 Instead of looking for megastructures and spaceships, we should consider something a bit more obvious: alien satellites and space junk in orbit around distant exoplanets. Sufficiently dense fleets of satellites in geosynchronous orbit around exoplanets should be detectable from Earth using current technologies, according to new research published in The Astrophysical Journal. Hector Socas-Navarro, an astronomer at the Instituto de Astrofísica de Canarias and the sole author of the new study, says we could do it using the transit method of detection, which is the same technique used to sniff out exoplanets. 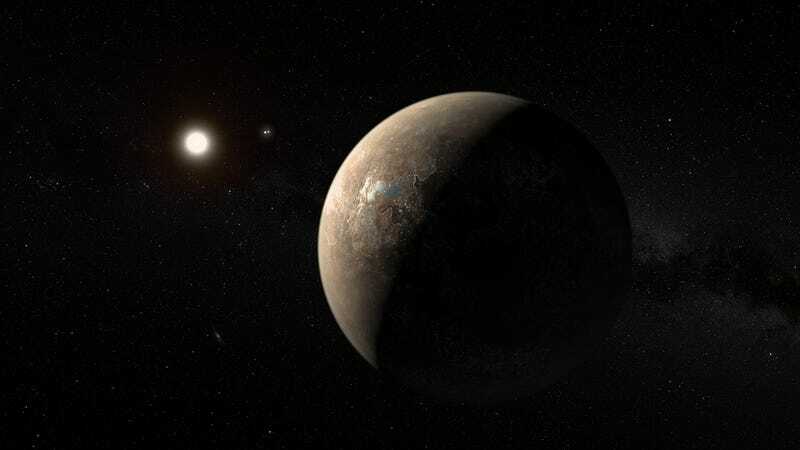 He argues that a ring of satellites and accumulating space junk should produce a characteristic light curve signature when an exoplanet passes in front of its host star from our perspective on Earth. Intriguingly, he says this strategy could help us find alien civilizations at a similar level of technological development to our own. 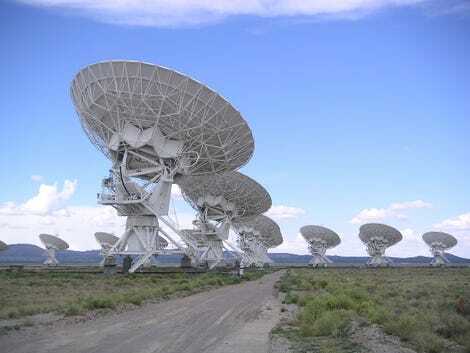 The search for extraterrestrial intelligence (SETI) began in earnest in the 1960s when scientists started scanning for alien radio signals. This approach has yielding nothing, highlighting the need for alternative strategies. In recent years, scientists have proposed that we look for alien megastructures, such as Dyson spheres, and other technosignatures, such as signs of radically advanced propulsion systems, antimatter power plants, traces of asteroid mining, and so on. A fundamental limitation with these strategies, however, is that they presuppose the existence of super-advanced extraterrestrial intelligences (ETIs) — a completely hypothetical stage of development. Advanced aliens may not exist (which would be sad), but we do know from our own experience that moderately advanced civilisations, if we can call ourselves that, do exist. Socas-Navarro’s proposal that we search for alien satellites is exciting because, he argues, it’s possible to find these so-called moderately advanced ETIs, and that we already have, or soon will have, the tools and techniques to do it. Using the transit method, astronomers have detected hundreds of exoplanets over the past three decades. We’re also entering into a new era in which scientists can discern the chemical elements found in the atmospheres of these distant worlds. This capability will only get better in the future with the addition of the James Webb Space Telescope, the Giant Magellan Telescope, the European Extremely Large Telescope, and Hawaii’s Thirty-Meter Telescope (TMT). Socas-Navarro’s new paper suggests these tools could be used to search for artificial satellites and space junk in orbit around exoplanets. More specifically, he says we should be able to detect objects within a region of space around planets called the “Clarke Belt,” named in honor of novelist Arthur C. Clarke, who published a paper in 1945 proposing the use of geostationary orbits for telecommunication satellites. Indeed, for the CEB to be detectable from Earth it would have to be sufficiently thick, containing vast fleets of satellites and space junk. To that end, Socas-Navarro ran some simulations to determine just how thick, or opaque, these bands would need to be to produce a detectable light curve signature, or imprint, as an exoplanet moves across a star’s disk. Different stars produce different amounts of light, so the detectability of each CEB will be different. His calculations showed that it should be possible to detect CEBs around Proxima B and around several planets in the TRAPPIST-1 system. From Earth, we should see dips in luminosity at the right distance as the planet and its CEB moves across the host star. Socas-Navarro says the signature produced by a CEB will be qualitatively different from a natural ring, like the one around Saturn. A diagram of space junk in orbit around Earth. Note the difference between objects in Low Earth Orbit (nearest to Earth) and those in Geosynchronous orbit (the outer ring). Objects are not to scale. Obviously, this extrapolation should not be viewed as a prediction. There is no reason to assume that the current exponential growth will be sustained for another 200 years. It might slow down if the demand for orbital devices were to decline, or it could accelerate if new technologies were developed that either require or facilitate the addition of more devices. In this respect it is worth pointing out another Clarke invention: a “space elevator” system would tremendously facilitate access to a geostationary orbit, which is a natural place to stop, and would likely speed up the rate of [satellite] growth. In summary, the 2200 date is not even a rough guess of when humanity will reach the detectability threshold but rather an indication that this outcome is a reasonable expectation for the near future, given current trends. Interestingly, and perhaps disturbingly, this means our civilisation will eventually be detectable whether we like it or not. With each satellite we add to GTO, we are getting closer to being discovered by an ETI. That may or may not be a good thing, and it’s something we should probably think about. Sure, we’re also leaking radio signals, but they degrade terribly over vast distances, so the claim that we’re already broadcasting ourselves across the Milky Way is grossly overstated. A cool aspect of Socas-Navarro’s proposed strategy is that it would cost us virtually nothing, as it can be done during routine searches for exoplanets. All it requires are astute astronomers who can discern the CEB signature in the observed light curves.